This species is accepted, and its native range is Mexico (Sinaloa to Durango and Jalisco). Turner, B.L. (2009). 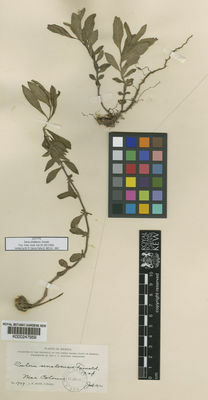 Recension of the Mexican species of section Uliginosae of Salvia (Lamiaceae) Phytologia 91: 440-466.